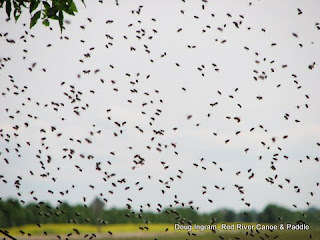 Last Sunday, while pulling weeds, I heard a strong buzzing sound. At first, I couldn't see the source. Then, I found it. 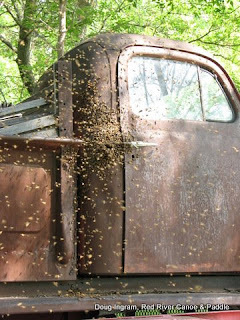 Hovering around my old Ford F-47, I saw a swarm of bees. Actually, they like the gas tank. 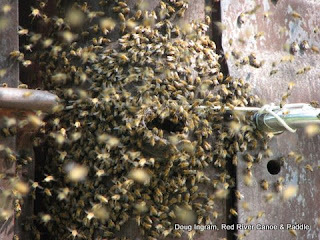 They hive has taken up residence in the gas tank. Posted by Doug Ingram at 11:18 a.m.